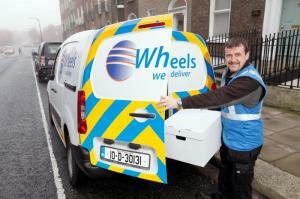 We operate Dublin’s largest fleet of Cargo Bikes. With their ability to carry loads of up to 25kgs, these eco friendly vehicles have seen our carbon footprint decrease dramatically since we introduced them in 2013. With traffic a constant issue in Dublin city, these bikes provide an efficient and carbon neutral alternative to using cars or vans. 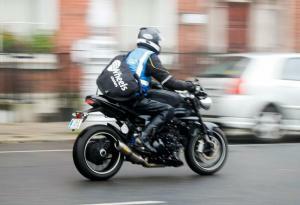 Wheels We Deliver have one of Dublin’s largest fleet of motorcycle couriers. Our fully uniformed, hi-visibility fleet are all equipped with the latest handheld PDA technology to provide real time signatures. When it’s just too big for a bike, our large fleet of fully branded midi-vans will take care of all our parcel & carton deliveries. For those bigger loads (max 4 pallets), our large fleet of vans have you covered. 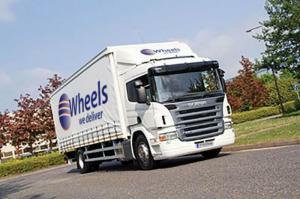 We also offer these vehicles on a short/long term contract hire basis with a highly experienced driver. For one pallet that needs a tail-lift or a full 24 pallet 40 foot load, Wheels We Deliver have a large fleet of vehicles to cater for your needs. 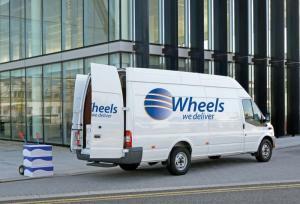 We also offer these vehicles on a short/long term contract hire basis with a highly experienced driver.